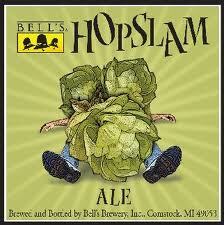 It’s that time of year again, we are gearing up for our annual Bell’s Hopslam release this coming Tuesday, February 3rd. Starting at 4:30 we will hand out tickets good for one 6 pack of Hopslam, once the tickets are gone so is the beer for this year. We are also going to offer an extra incentive with this as well, if you buy 3 six packs of Bells Two Hearted and 1 six pack of Bells Hopslam, you will receive a 10 % discount on the case purchase. See you then and good luck.